Cameroun President, Paul Biya, don tell military tribunal make dem stop di case against people wey do di January protest for Northwest and Southwest regions. Supreme Court Judge, Paul Abine, human rights lawyer Felix Nkongho and university lecturer Fontem Neba follow for 25 other people wey di government carry go di military court for capital, Yaounde, since February dis year. Dis people come from region of di country wey na English dem dey speak. Dem dey protest say make government stop to dey use French for dia court and schools. Di government say dem be terrorists wey dey fight against di whole country plus say dem dey disturb di area. President Biya announce di order for Facebook and Radio to free di leaders of di protesters wey dey for prison but nobody know whether dis one mean say dem don forgive dem. Civil Society Activist, Eric Shu, explain give BBC News Pidgin journalist, Daniel Semeniworima, say "na 56 years of oppression wey make di people wey dey speak English for southern Cameroun decide to do protest." Im come talk say, "Wetin make trouble start for Northwest and Southwest Cameroun na say di people don tire for di kain laws wey di government dey make wey no favour people wey dey speak English for di country." 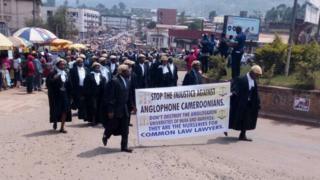 Na two language dem dey speak for Cameroun. Dat na French, wey people dey speak for north and English, wey be di language for south. 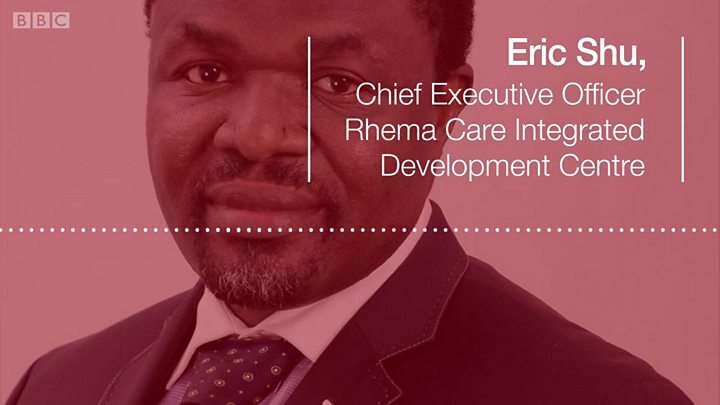 Shu, wey be Chief Executive Officer for Rhema Care Integrated Development Centre add say "dem dey send judge wey na French be im language come do case for court for southern Cameroun wey na English dem dey talk. And dis dey cause plenty misunderstand as nobody dey understand demself. "Dat na why some lawyers come comot do protest say dem no gree but government send soldiers to beat, come lock dem for jail." Teachers for southern Cameroun sef don join di matter as dem say dem don tire to dey see as government dey send teachers wey na only French dem sabi go English school. Dem say dis don cause situation wey children dey learn wrong things for school. Di wahala don reach level wey bi say some people don dey call on di British government and di African Union, AU, make dem put mouth for di matter.